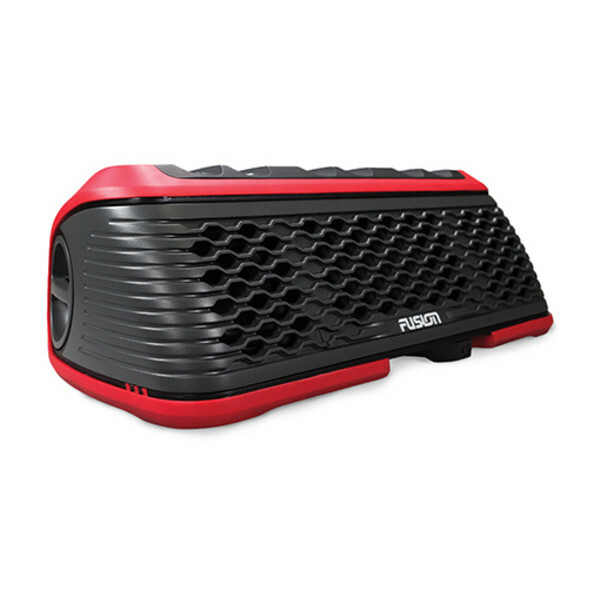 The award-winning StereoActive marine system combines world-class industrial design, high-quality music reproduction, intelligent functionality and an extensive feature set that has resulted in a rugged, portable stereo that’s prepared for anything. StereoActive is designed for the challenge of life on the water and engineered to deliver crystal-clear audio that enhances any activity. 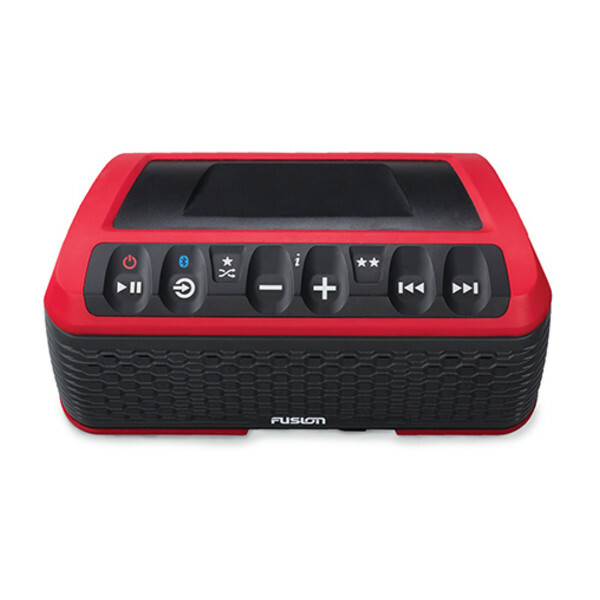 With an extensive range of music sources — including AM/FM radio tuner, Weatherband Bluetooth wireless technology and USB MP3 playback — let StereoActive provide the soundtrack to your next adventure. 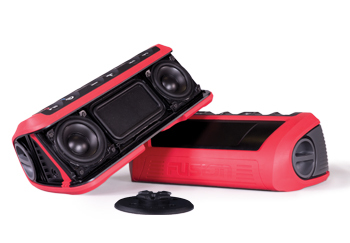 StereoActive is a portable, rugged floating marine stereo system (water-rated to IPX7) that is engineered for a life of adventure. 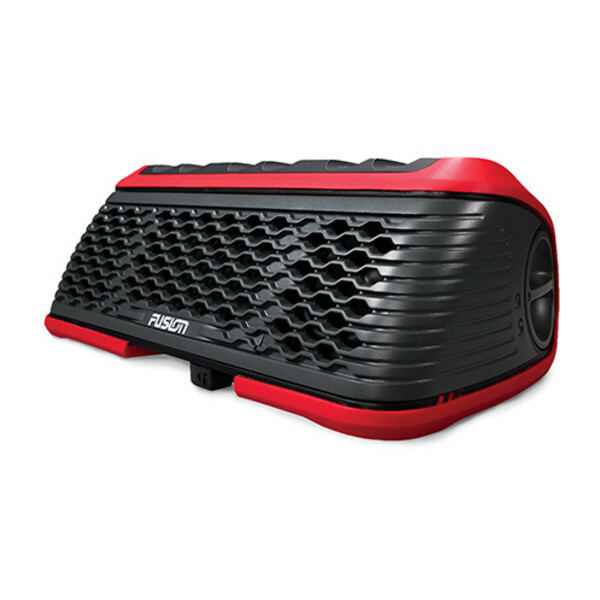 Whether you’re boating, paddle boarding, camping or around the pool, the StereoActive system is made to be used 365 days a year and is prepared for anything. 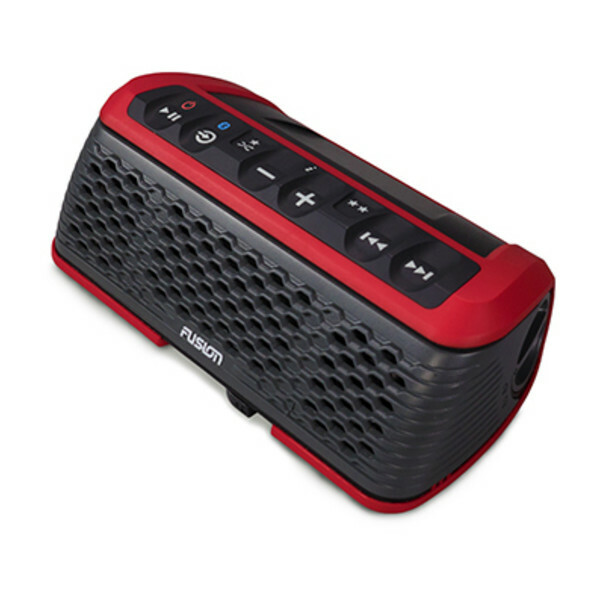 Stream audio via Bluetooth from your preferred music services such as Pandora® or Spotify® or tune in to the game or your favorite radio show via the built-in AM or FM radio — or use the built-in USB port to play back your own personal collection from a compatible smartphone or USB memory stick. Boasting a powerful 40 W speaker system with custom 2.5” speakers, a large bass radiator and digital signal processing, all driven from a class-D amplifier, StereoActive delivers unprecedented audio reproduction — in any environment. 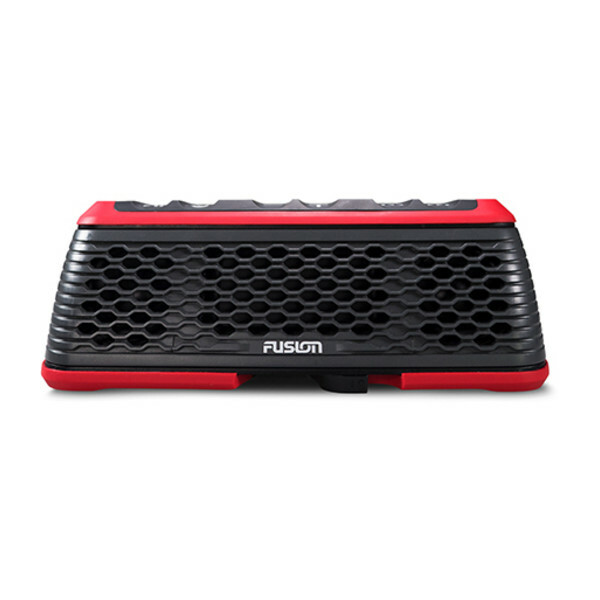 Built-in dual rechargeable lithium-ion batteries provide up to 20 hours of play time and boast charging capabilities for your smartphone and tablet via the USB port — for when your adventure takes you miles away from a charge. 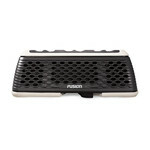 The unique FUSION Puck™ mounting system enables quick, secure mounting of the StereoActive system to any boat, paddle board, kayak, whirlpool spa or even your 4 wheeler — leaving you to enjoy your music rather than worrying about your stereo floating away. Be confident you can truly mount your StereoActive anywhere. 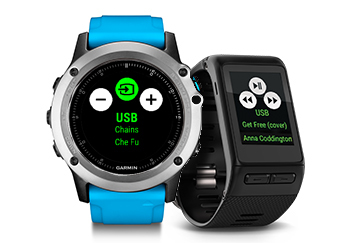 By using the power of ANT+® wireless technology, our compatible smartwatches let you control StereoActive directly from your wrist. Track your pulse, paddle stroke or skip to your favorite song and turn it up to get in the zone for a new personal best. Simply download the free FUSION-Link Lite app from our Connect IQ™ store. Wireless control of the StereoActive system is simple. 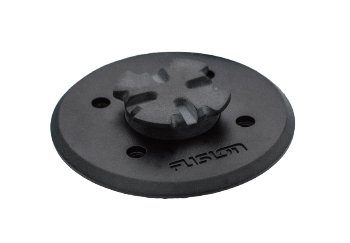 Just download the free FUSION-Link app to your smartphone to enable Bluetooth control of StereoActive directly from your compatible smartphone. 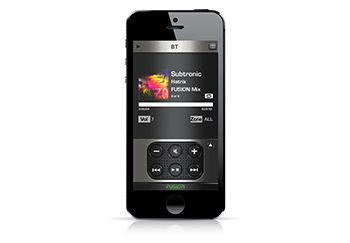 App functionality includes the ability to set tuner regions, scan stations, set presets, adjust volume and select your favorite music track. Need a place to protect your phone and car keys? The ActiveSafe™ container (sold separately) is designed to keep your valuables safe and dry while you spend the day on the water.